The 2019 West Cork Car Rally welcomes the British Rally Championship to this ever popular Irish Rally. Saturday see's the start of the competition running nine special stages, followed on Sunday the 17th March St Patricks Day giving a further six stages. Servicing is centralised in the ground of Darrara Agricultural College. Fairfield Motorsport are offering standalone motorsport ferry travel to Competitors and Spectators and its sister company Merlin Wonders offering competitor and spectator packages (ferry and accommodation) in the Clonakility Hotel based in town and Rally Headquarters the Clonakilty Park Hotel. Excitement is building as the West Cork Car Rally 2019 joining the British Championship with an excellent UK entry expected for this ever popular rally. The West Cork Rally team can boost to be one of Irelands most popular rallies drawing one of the largest overseas entries and spectators. Based in the town of Clonakilty - Cloich na Coilte on the West Cork coast - the Wild Atlantic Way, just 32 miles from Cork City. The West Cork Rally Headquarters is in the Clonakilty Park Hotel on the edge of town but many of the spectators return each year to the old spiritual home Clonakilty Town. On the West Cork Rally you can enjoy the very best of the black stuff Guinness and Clonakilty Black Pudding ! 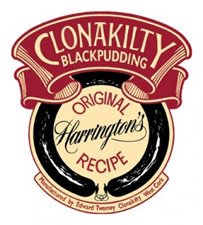 Clonakilty is designated by the Irish Tourism Board Board Failte as a West Cork Heritage town and is famous Worldwide for its black & white pudding, make sure to have an Irish Breakfast and taste the delight ! 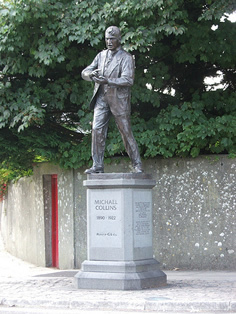 Although Clonakilty with rallying enthusiasts is famous for the West Cork Rally in history it takes its place as the birthplace and home of one of Ireland's greatest sons Michael Collins. Michael Collins was born at Sam's Cross and gave his life to Ireland. 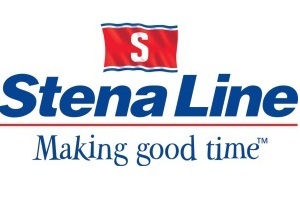 the best ferry prices !